Jack Quinn of Hamburg, New York, was born on April 13, 1951. He graduated with a B.A. in English from Siena College and an M.A. in education from the State University of New York at Buffalo. He taught English in the Orchard Park School District before being elected to the Hamburg Town Council in 1981. 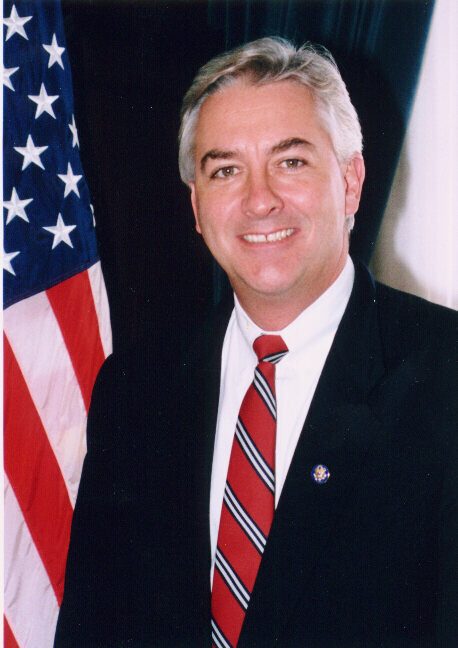 Mr. Quinn became Hamburg Town Supervisor in 1985. His civic memberships include being a board member for the Greater Buffalo Chapter of the American Red Cross and the BryhLin Foundation; the Knights of Columbus; Hamburg Kiwanis Club; and the Hamburg Chamber of Commerce. He also served on boards of the New York State Advisory Council of the American Red Cross and St. Francis High School; as chairman of the Hamburg Industrial Development Agency; as a member of Southtowns Sewage Treatment Agency, the Greater Buffalo Chamber of Commerce and the United Way of Western New York. He won the Humanitarian Award from the Erie County Office for the Disabled; the Public Service Award from Niagara Frontier Parks and Recreation Society; the Distinguished Graduate Award from the National Catholic Elementary Schools Association; the Good Citizen Medal of the National Society of the Sons of the American Revolution, and several other awards. First sworn into Congress in January, 1993, Mr. Quinn is now in his second term and serves on several committees: the House Transportation and Infrastructure Committee and its Subcommittees on Railroads, Surface Transportation, and Water Resources and Environment; the House Veterans' Affairs Committee and its subcommittee on Hospitals and Health Care; and the Joint Economic Committee. He is a member of the Congressional Fire Services Caucus, the Congressional Travel and Tourism Caucus and the Friends of Ireland Congressional Committee. Married to the former Mary Beth McAndrews, he and his wife have two children.